After one month of fighting authorities for the opportunity to see the returned National Consultation questionnaires, LMP co-chairs Bernadett Szél and Ákos Hadházy were finally granted access to the documents. The Cabinet Office of the Prime Minister led by Antal Rogán, commonly referred to as the minister of propaganda, allowed the opposition politicians an hour and a half to look at the documents. They visited three locations where the documents are screened and processed. Journalists were not allowed to join them. After visiting two sites and learning that neither could say for certain how many questionnaires they had processed, Hadházy announced he is certain that the government is lying when it says it has received 1.7 million returned questionnaires. The government was quick to reject Hadházy’s assertion as nothing more than an attempt by an opposition politician – working for George Soros! 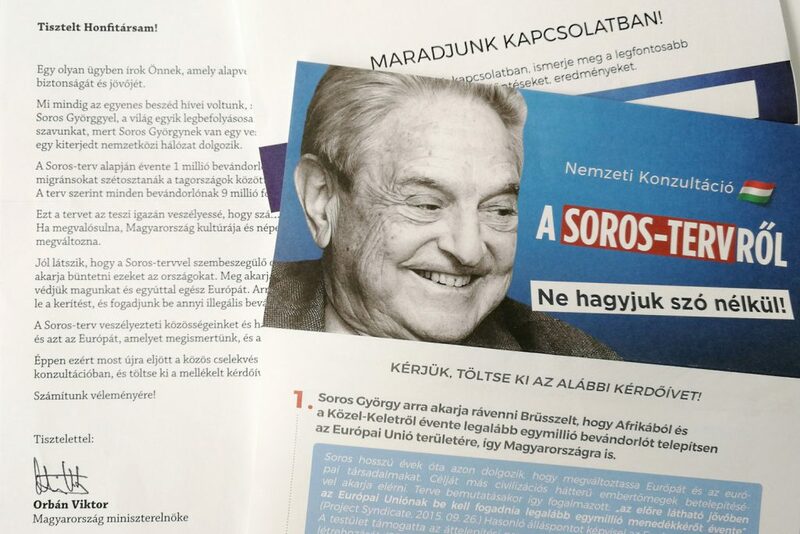 – to prevent the Hungarian people from expressing their opinion on the Soros Plan.